Relocating your office interstate can be a laborious task that can cause a lot of stress, for not just the owners, but the employees as well. Moving your office to a new location involves several steps that need to be planned and prepared thoroughly before executing the move itself. Unlike house removals, office removals are a significantly larger project and thus require you to divide the project into multiple small and manageable projects. It is important that you recognize the responsibilities of individual employees during the move and divide the workload accordingly. The best approach is to always start the relocation process early and frequently communicate with your employees, clients, and movers to ensure a successful, stress-free move. In this blog post, we present a comprehensive guide on office relocation from Sydney to Melbourne. Following the tips and steps that we have outlined in this blog post will help you move your office from Sydney to Melbourne successfully without all the stress. Given below is a chronological step-wise sequence on how you should go about planning and executing the office relocation project for moving your office from Sydney to Melbourne. The first and foremost step to office relocation is to plan! Without the right plan and strategy, the move can go south very quickly. Planning out the timeline for your move will help you accurately estimate the budget and time required to carry out the move from Sydney to Melbourne. One of the first steps that you can take in the planning phase is to create a timeline that covers all the necessary stages of the move. Discuss the timeline with all team members (employees) that are involved with the move and finalize a schedule that is feasible and accepted by all of your team members. The timeline should, at the least, cover the packing, loading, transporting, unpacking, unloading, and redecoration phases of the move. For small offices, just the planning and preparation phase can take up to 3 months, whereas for large offices, it can take up to 8 months. Having said this, it is essential that you start the move at the earliest possible. An effective way of planning out your move is to hire professionals such as interstateremovalists.sydney. Professional removalists such as interstateremovalists.sydney have years of experience of planning and executing small-scale and large-scale office moves from Sydney to Melbourne. Hiring them will help you enjoy a stress-free moving experience since they plan out every step of the move to great detail. The next step is to gather as much information as you can about the new space. Identify key components like storage space and electrical outlets by getting a floor layout or blueprints. Once you have this information, you can start designing the new office layout. It is a plus to have a layout of your current place so you can make comparisons. If some areas in your current office aren’t working, make sure you identify them now so they can be taken care of in your new place. Additionally, prepare a list of possible issues in the new space, for example, less storage capacity, small reception area, need for temporary walls, or building more cubicles. You might need to hire electricians, painters, system installers, carpenters, or other service providers to make required changes before you move in. It is important to build a reliable but small team for your office relocation project. You cannot ask every employee to work on the move because it will not only halt business operations, but it will also lead to increased mismanagement and confusion with the move. 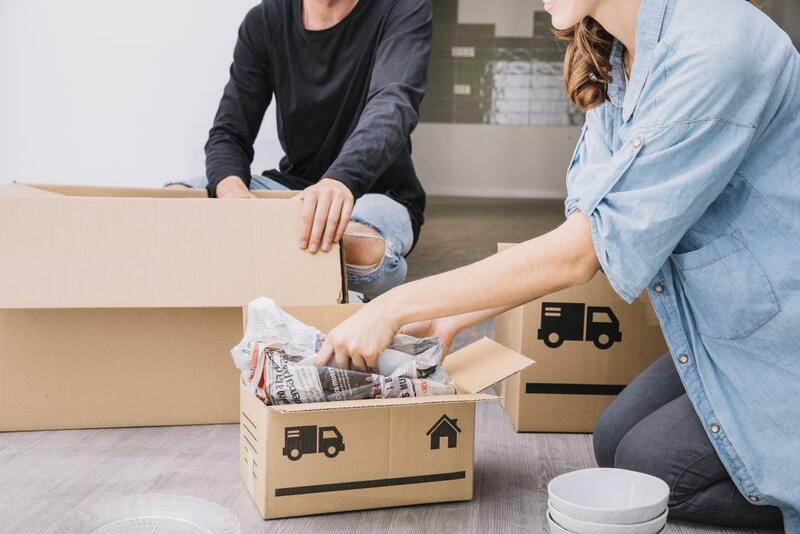 Therefore, as the manager responsible for the move, you should appoint (or nominate) someone from each department in your office to help out with the move. Once you have built a moving team, the next step is to ask them to coordinate their particular department or division, ensuring that all communications to the department will go through them. This helps in streamlining the moving process because the employees are familiar with their department structure and understand the needs and requirements of their individual department. You can also ask this department to move supervisor to further delegate tasks to individual employees, such as to pack their desks and personal items themselves. Your schedule should include regular meetings to discuss the progress of the move will all the staff. It is imperative that you make time to inform employees about the developments and address their issues. Moving is exhausting for all the employees and it can be further stressful if you don’t have strong communication. Ask your moving team to make a list of tasks that have to be completed, with critical tasks especially marked in the schedule. Consult each department supervisor or manager what is needed from their area. This may include specialty service providers like computer network specialists or telephone line installers. Make sure you don’t forget common areas such as the lobby, reception area, and storage. Making a contact list will make sure that all stakeholders, clients, suppliers, and everyone else linked with your business are aware that you’re moving. You can assign this job to one employee who will ensure your contacts don’t fall through the cracks. Specific communications are required to inform clients and customers about the new place and how the business operations will be conducted during the move. This will prevent your customers from going elsewhere for the services they need. Hiring office movers is one of the most important tasks for moving your business from Sydney to Melbourne. There are a number of office removalists Sydney to Melbourne out there but it is important to choose one that has the relevant experience and expertise to help you with your move. Other than this, you need to make sure that the office movers are also reliable and provide you with value for your money. Renowned office movers in Australia such as interstateremovalists.sydney have offices located throughout the country and have a wide portfolio of successful office moves that demonstrate their moving ability. These office removalists Sydney to Melbourne not only help you with the transportation but help you conduct each part of your move effectively. For instance, interstateremovalists.sydney offers services for planning, preparation, inventory management, packing and unpacking, furniture assembly and disassembly, blueprint design, loading and unloading, and redecoration under its office removals Sydney to Melbourne category. Here are some tips on how you should go about the packing and labeling phase of your office relocation from Sydney to Melbourne. Mislabeling a box while moving will cause inconvenience and waste your precious time. If something is incorrectly marked in your commercial move, it will affect productivity and the loss of time that could be used in earning dollars. To save you from such a disaster, here are a few tips that can help you in preparing for moving day. Don’t take heaps of accumulated papers and files to your new office. Schedule some ‘Purge Days’ before your moving day so that you can effectively reduce the size of your move. Associates are recommended to take home anything that has sentimental value, including trinkets, paintings, pictures, and frames. It is best to keep these items at home since it is not the office’s responsibility to facilitate the move of such items. Under-packed boxes might get crushed when stacked, while over-packed ones will not close properly which may cause damage to the items inside. Hence, make sure your boxes are just ‘Fully’ packed. Consider efficient ways of handling heavy boxes and avoiding to make and then flatten moving boxes. One such solution is using 3.0 cubic foot plastic moving crates with a dolly for every four crates. Tip #5– If an item is untagged, it will be impossible to track it in inventory! If you leave an item unlabeled, we will not transport it to your new location. This policy is for your own safety. Therefore, make sure that your associates know no labeling means no moving for that item. – Put a label on the bookcase’s side. – Store the shelf’s support brackets in an envelope and tape to the back or inside of the shelf. – Unused removable shelves can be stacked at the bottom. – When labeling boxes or crates, stick the label at a consistent spot, preferably the top-right corner. This comes in handy in knowing the correct orientation when opening boxes. – label the back-rest area of every chair. This gives a consistent spot for all chairs and is visible at one glance. – On fabric chairs, the armrest can be a good place to place the label. – When placing labels on electronic devices like computers, each individual piece should be labeled separately. –Place the label in such a place that it does not hinder the functionality of the device. For example, avoid placing labels on top of buttons or sensors. NOTE: All the cords, mice, and mouse pads can be kept inside the provided keyboard bag for storage. – Wherever possible, stick the label on glass and desk pads appropriately. – Use boxes to store desk contents. – Appropriately use glass tops and desk-pads. – Put the label on the top of the desk. NOTE: If the desk has grommets, cord drops, be sure to remove them and carefully pack them into boxes. ideally, store them in the desk drawers. – For file cabinets, the label can be placed on the top right corner of the first drawer. – Keys can be taped to the cabinet top. NOTE: Remember to lock cabinets and pack the keys in appropriate boxes. – Place labels separately on the lamb body and shade. – Remove the light bulb and lamp-shade and pack carefully. – Always prefer to stick the label on glass. – When storing such items group them by size and wrap them in padding. – label the side of the container. – Research for any special instructions to handle specific plants. – Check with the phone company in order to determine the process of moving phones. – Unplug and label each phone, and leave the phone by the desk for them to be transported. – Wastebaskets only need to be labeled if they are personal items. If all baskets are the same there is no need to label any of them. To help you enjoy peace of mind before, during, and after the move, we have put together a checklist for each stage of the office relocation from Sydney to Melbourne. Use this checklist to determine if your move is going as you have planned. Use the floor plan of your new office to decide where each person will have their desk. Mark each desk with a unique number. This will be easier if you number the desks sequentially. You may also choose a separate number pattern for each department. For example, your IT Team could have desks numbered 100 to 150, while the marketing staff has 200 to 230, and so on. This will help in identifying items and locations more easily. Individual offices should have their own room numbers as well. It’s best to sequentially allot numbers to the offices next to each other. Assign each numbered desk/office to the relevant staff members. Name or number communal spaces. Coordinate with IT to ensure that the machines, network, and data will be all ready for moving day. Make sure you have all the information to access the building and that parking will be available for removalists. Share your numbered floor plan with the removalists so they can understand the layout beforehand. Properly instruct your staff about packing, and the deadline to have all their things packed. Make sure they are aware that anything they don’t pack properly will not be moved to the new location. Give out a map of the new location so the employees find out directions, parking spaces nearby, the available public transport, etc. Give each employee the desk number that is allocated to them. Ask staff members to allocate numbers to all computer screens, furniture, boxes, and hard drives. The best practice is to label each item type in the same place. For example, top of the hard drive, the base of furniture, etc. Empty the filing cabinets and lock or tape close them for quick removal. Place all phones, cables, keyboards, and other such things in plastic bags. Allocate numbers to each bag and put a label. It is recommended to take home any valuable items such as laptops or iPads instead of packing them. Items used in shared areas such as common rooms and kitchens should be labeled according to the way they’re labeled on your floor plan. Prepare signs with directions for the removalists in each area. For instance, ‘For numbers 550-600, turn left’. Use masking tape to mark the space where your desks would be placed. Each space should be labeled with a number. While doing this, make sure you’ve measured all the furniture so you know everything will fit in the allotted spaces. In a fitted out office, label desks with numbers according to location. According to the size of your move, you might need to place company representatives at both offices. If more than one moving trucks are transporting your items, then there must be someone to meet the first truck at the new location while another representative should be at the old office until the last of the trucks leaves after completing the work. It is best to have removalists work on one area at a time, especially if the space is bigger. This will ensure your presence to give directions and answer queries. Connecting phones and computers should come after ensuring that everything else been moved in. You might need to wait until the next day for this. Your aim should be to have all the computers connected and ready before the staff resumes work. Before the staff returns to work, perform a last check to ensure that all the items on the employees’ desks correspond with their assigned number. You may also want to give an added touch by creating personalized desk labels for each employee with their name, job title, picture, and company logo placed on their new desks. This will look more aesthetic and welcoming than numbers and will encourage staff members to give their best in the new office as well. Make sure there is no rubbish anywhere and the walkways are clear. The building must be clean and safe for staff members to enter. If the office is big, place signs with directions for each team so they know where to go. Test all facilities whether they are working or not, including toilets, powers, fridges, etc.